But there were also prominent snubs. Damien Chazelle’s space race drama “First Man” was virtually ignored, drawing an acting nod, for Claire Foy’s supporting work, and a nomination for Justin Hurwitz’s score. Among the surprises, the tepidly reviewed “Bohemian Rhapsody” was recognized in the best drama category. 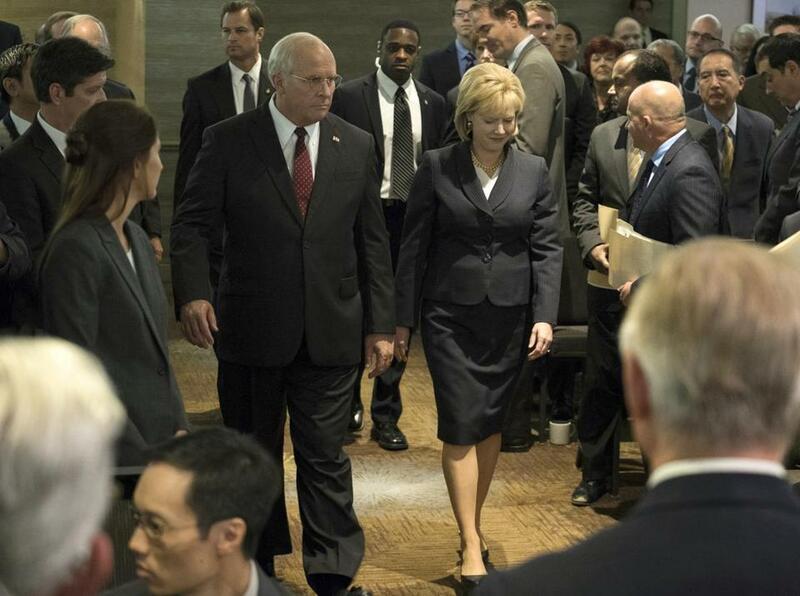 The largest number of film nods — six — went to Adam McKay’s “Vice,” including for best musical or comedy, director, actor (Christian Bale), supporting actress (Amy Adams), supporting actor (Sam Rockwell), and screenplay. Bradley Cooper’s hit “A Star Is Born,” the cutting period comedy “The Favourite,” and “Green Book” each received five nominations. The Hollywood Foreign Press Association announced the nominees Thursday morning in Beverly Hills, California. The Globes are seen as the least serious stop on the road to the Oscars, which will take place Feb. 24. Only 88 people vote on the Globe nominees and winners. And the top Globes are split into dramatic and comedic categories, often in nonsensical ways. In a head-scratching policy for an awards program adjudicated by reporters from overseas, foreign-language films are ineligible for the marquee best picture categories. So the nominations did not offer much guidance on the Oscar fortunes of “Roma,” Alfonso Cuarón’s blissfully reviewed epic that has become a lightning rod in Hollywood because it comes from Netflix, which gives films token theatrical releases. “Roma” was among the best foreign film nominees, as expected, while Cuarón was recognized for best screenplay and best director. Movie fans may also be confused by the inclusion of “A Star Is Born” in the best drama category. The romantic remake is plenty dramatic, but the Globes has a whole category specifically for musicals and comedies. “A Star Is Born” has lots of singing, and the 1976 version starring Barbra Streisand won the Globe for best musical. What’s the deal this time around? It boils down to category shopping: “A Star Is Born” consultants asked the press association to not consider it a musical, since the dramatic category is seen as having more heft. 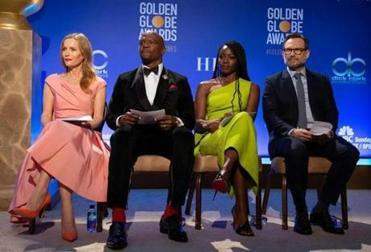 “Green Book,” adored by some for its depiction of interracial friendship while leaving others appalled for its reliance on racial clichés, emerged as a factor in five categories, including Viggo Mortensen’s lead acting, Mahershala Ali’s supporting work, best screenplay, and Peter Farrelly’s direction. Walt Disney Studios, despite its box-office brawn, has never been much of an awards force outside of animation. This year, however, Disney has “Mary Poppins Returns,” which doesn’t hit theaters until Dec. 19 but has been generating glowing advance buzz and received a nod for best musical or comedy, along with acting nods for Emily Blunt and Lin-Manuel Miranda. In addition to best drama, “Black Panther” received attention in the song and score categories. Because the press association’s nominations arrive as Oscar voters are gearing up for their own selection process, the movie-related Globe categories receive most of the attention. But the truth is the Globes ceremony gets much of its power from TV stars, and the desire by voters to be tastemakers by throwing their weight behind fledgling series. In recent years, the Globes have helped put streaming-service shows like “Transparent” and “The Marvelous Mrs. Maisel” on the map. In the best television drama category, newcomers receiving nominations included the thriller “Killing Eve,” starring Sandra Oh as a security services operative; the boisterous “Pose,” the latest FX hit from Ryan Murphy; and “Homecoming,” a cerebral thriller starring Julia Roberts. Among comedies, awards handicappers predict it is going to be hard to unseat reigning winner “Mrs. Maisel.” Newcomers among nominees include “Barry,” the off-kilter HBO series starring the also-nominated Bill Hader and Henry Winkler, and “The Kominsky Method” from Amazon, which also snagged nominations for its stars, Michael Douglas and Alan Arkin.